A couple of days ago I found a list written on one of Miss I’s notebooks. 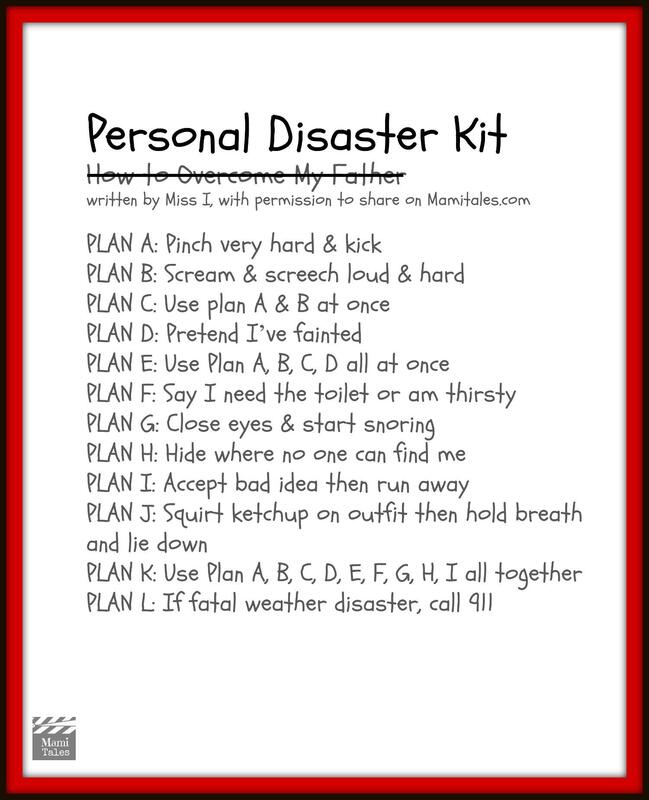 It sported the title: PDK – Personal Disaster Kit. And then, striked out, Plans to overcome my father. I asked if I could read, and by the end of it, I was in tears. This is what she wrote. I asked her if I could share on the site, and she said I could… but she wanted to let me know that she had taken the idea of making a Personal Disaster Kit from a book she had read at school, entitled Alvin Ho: Allergic to girls, by Lenore Look. I looked into it and found the first two chapters of the book at Google Play, and it is on chapter two that I found the Personal Disaster Kit Miss I was talking about. This is a picture of Alvin’s Kit, which among other things includes garlic to fend off vampires and teachers, a magnifying glass to start fires and a three leaved clover (because he couldn’t find a four-leaved one). I love the fact that the main character of the book is a Chinese-American boy, and it is written in a very childlike way. The story mainly deals with Alvin going back to school to start second grade, and being able to survive such scary event. Have you ever had a Personal Disaster Kit? What would you put in yours? Tagged Funny, Miss I's Book Review, Miss I's Journal.